Sakai Guides and DocumentationSakai Complete User Guide Web ContentHow do I edit a Web Content link? Select the Web Content link (e.g. 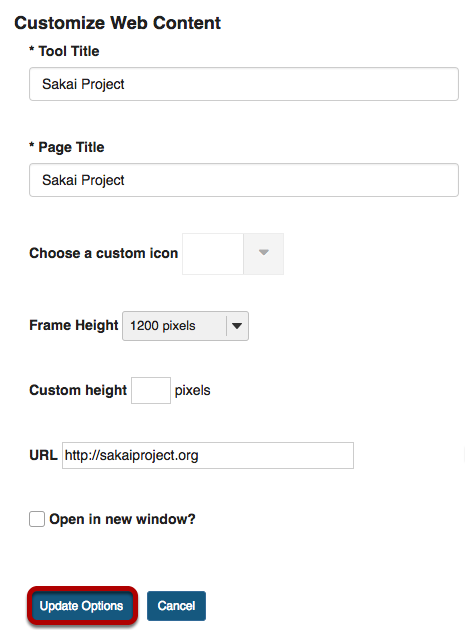 Sakai Project) from the Tool Menu in your site. This displays the re-launch page. Zoom: Web Content tool screen with Edit button highlighted. NOTE: To use the Open in new window option, the link to a web site (URL) must be within the Sakai instance domain (e.g. university.edu). Click the Update Options button to save your changes. 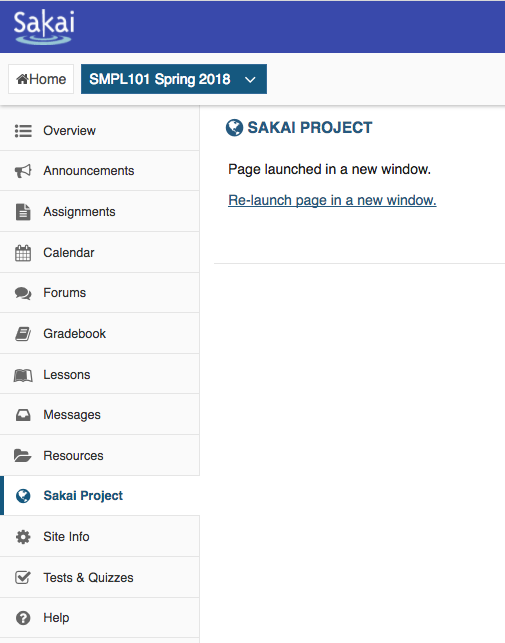 Click the Web Content tool menu link (e.g Sakai Project) to display the updated link. Prev: How do I create a Web Content link to a folder in Resources? Next: How do I delete a Web Content link?